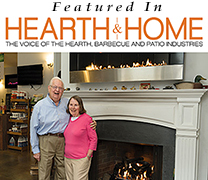 Homeowners in Shelton Connecticut, Monroe, Milford, Trumbull and surrounding communities are invited to visit the Yankee Doodle Stove & Fireplace Center for all their hearth needs. 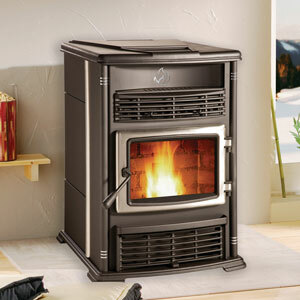 You will find the latest models of pellet stoves, wood stoves and gas stoves from manufacturers homeowners trust the most. We carry a full line of EPA-certified stoves in a variety of styles, designs, sizes and fuel types such as wood, pellet or gas. They are easy to operate and maintain and will provide the desired level of comfort while reducing heating costs. Regardless of which stove you choose, we will arrange convenient home delivery and professional installation. Pellet stoves are a popular for homeowners who want an eco-friendly alternative to a traditional wood burning experience. The wood pellet fuel is made from compressed tree sawdust and are packaged in convenient 40lb bags. 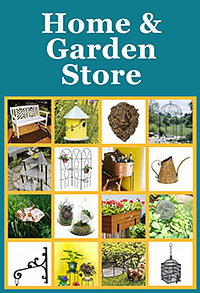 This is easier than having to purchase, store and stack traditional hardwood. When purchasing traditional firewood, you have to be careful to ensure it is seasoned and protected from moisture. On the other hand, premium wood pellets have a low moisture content which means your fire will burn longer and cleaner. And there is practically zero waste. Pellet stoves offer a continuous heating experience. Simply pour the contents of the bag of pellets into the hopper and the stove will do the rest. The hopper will automatically continue to fuel the fire. This provides a continuous source of heat for your home. 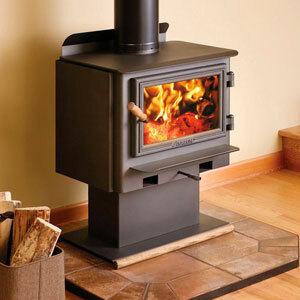 When you want an authentic, old-world woodburning experience, you can’t beat the charm of a wood stove. Our modern EPA-certified wood stoves are an efficient way to heat your living space. They are not only an economical source of heat, they produce lower emissions too. 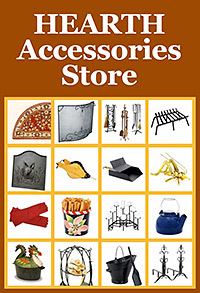 We offer a variety of styles from the ornate and rustic to modern and trendy models from top brands like Avalon, Jotul and Enerzone, to name a few. With their handsome styling and glass doors to watch the blazing flames, they are sure to complement any room in your home. 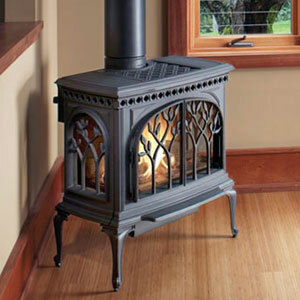 Many homeowners throughout New England are switching to the convenience of gas stoves. Gas stoves are a low-cost supplemental heating appliance that provides continuous radiant heating at the touch of a button. Gas stoves also burn cleaner and is easier to maintain. Many models include convenient features like remote control and adjustable thermostats that make it simple to maintain the desired level of comfort. Homeowners also use gas stoves for zone heating. Having a gas stove in different areas or levels of the home, eliminates the waste of heating unoccupied zones of the home. 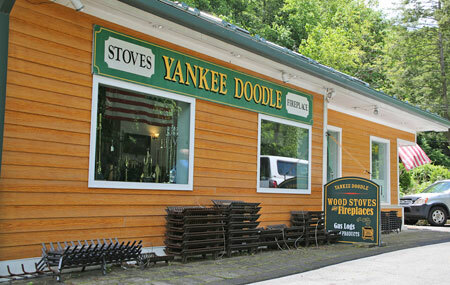 Whether you want to upgrade your existing wood, gas or pellet stove or reduce your heating bills, we invite you to visit the Yankee Doodle Stove and Fireplace Center for the area’s best selection. We are a short drive from Shelton, Norwalk, Stamford, Ridgefield or anywhere throughout Fairfield, Westchester and Litchfield counties.